On grey days, seek solace in pear and maple syrup crumble or rhubarb and white chocolate tartlets. And let's face it, no excuse is ever needed to indulge in a slice of black velvet chocolate tart or a pistachio meringue with green tea cream. With Belinda's Desserts in your kitchen, you'll always have the perfect ending to any meal. 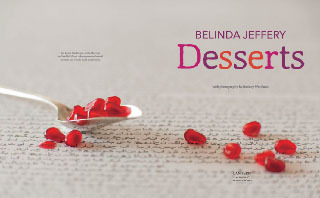 The award-winning author of Belinda Jeffery's 100 Favourite Recipes, Belinda Jeffery's Tried-and-True Recipes, Mix & Bake and The Country Cookbook, Belinda Jeffery has shown herself to be the quiet achiever of the food industry. 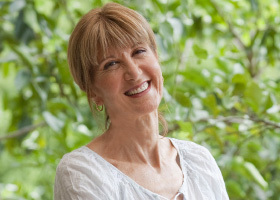 Renowned for her warm and reassuring style, she has garnered a strong following through her career as a chef, cafe proprietor, TV food presenter, radio personality and cooking teacher for her never-fail recipes and the pleasure she receives from sharing her knowledge and love of good food with others. 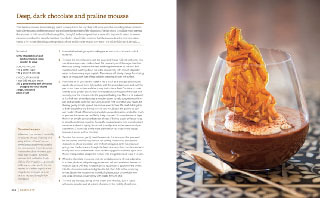 This new book collects together some really great recipes for puds. 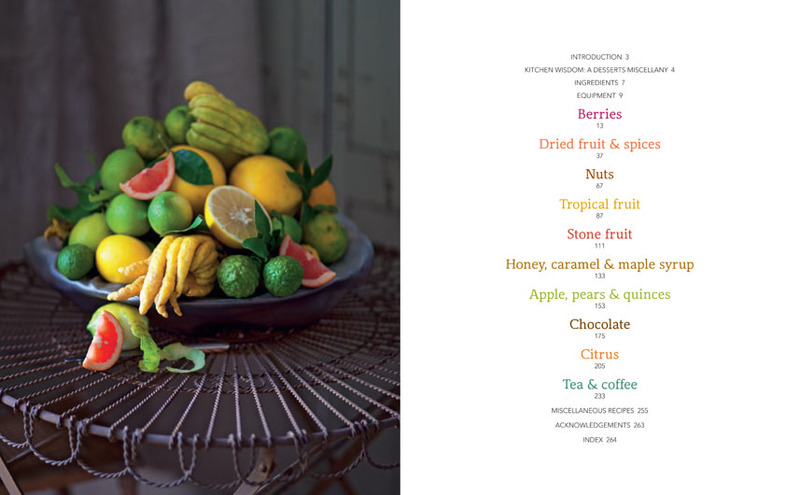 It is divided into categories - tropical fruits, chocolate etc, so you can cook to the season or whim. The photographs are amazing. 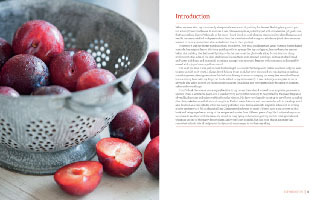 We loved Belinda's Country Cookbook and this lives up to the mark set. Her reputation is for recipes that really work. You can guarantee sensational results if you follow her ideas. Highly recommended. BEAUTIFUL book, outstanding! Belinda has done it again! Gorgeous just to read or inspire to get cooking! Would make a wonderful gift or coffee table book! When we were kids, my mum nearly always made some sort of pudding for dessert. Nothing fancy, mind you, but scrumptious nonetheless. In summer it was often as simple as junket topped with strawberries (oh gosh, now that's something I haven't thought of for years – how I loved its cool, slippery creaminess) or sliced bananas and vanilla ice-cream trickled with passionfruit from the vine that trailed along our side fence (back then everyone seemed to have a passionfruit vine and a lemon tree in their garden). However, it was her winter puddings that I most loved. And what puddings they were! Nutmeg-dusted baked custards; her magical lemon delicious pudding with its sponge-like top and gooey, lemony base; the creamy baked rice pudding that had us all fighting to be the one to eat the gloriously sticky brown bits that clung stubbornly to the sides of the dish. And then of course there were steamed puddings, sultana-studded bread and butter puddings, and on special occasions, an apple pie or strudel fragrant with cinnamon and invariably served with a jug of canary-yellow custard. For us at the time it was just normal, but hindsight is a wonderful thing, and I realise now how lucky we were to grow up with such treats. I always loved helping Mum cook, but even more so if she was baking or making something sweet (the opportunities this led to for licking a beater or scraping out every last skerrick of batter from a mixing bowl with my finger no doubt added to my enthusiasm!). It was certainly no surprise to me or anybody else when I ended up cooking in restaurants for a living, and more particularly focusing on desserts, cakes and sweet things. I don't think there was a more enjoyable time in my career than when I worked in an exquisite patisserie in Sydney. It was a wonderful place, and I loved arriving early in the morning to be greeted by the sweet fragrance of vanilla, chocolate and spices wafting from the kitchen. My days were happily spent up to my elbows in melted chocolate, cake batter and all sorts of doughs as I baked cakes, biscuits and pastries to be sold in the shop, which also doubled as a tiny café. 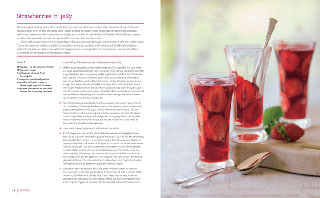 So when my lovely publisher, Julie Gibbs, asked if I might be interested in writing a book on desserts, it felt as though all my Christmases had come at once! It's been such a joy to work on this book and bring together so many of the recipes and stories from different parts of my life. I only wish my mum were here to see this, for if she were, she would be busy tying on her apron, getting out her mixing bowls and whipping up one of the many desserts here. Sadly, that's not possible, but I do hope that in amongst this somewhat eclectic mix of recipes you find yourself encouraged to do that very thing.